According to a newly teased image by Epic Games from its official latest in-game news message, a new limited LMT mode is soon heading to the popular Battle Royale game Fortnite. 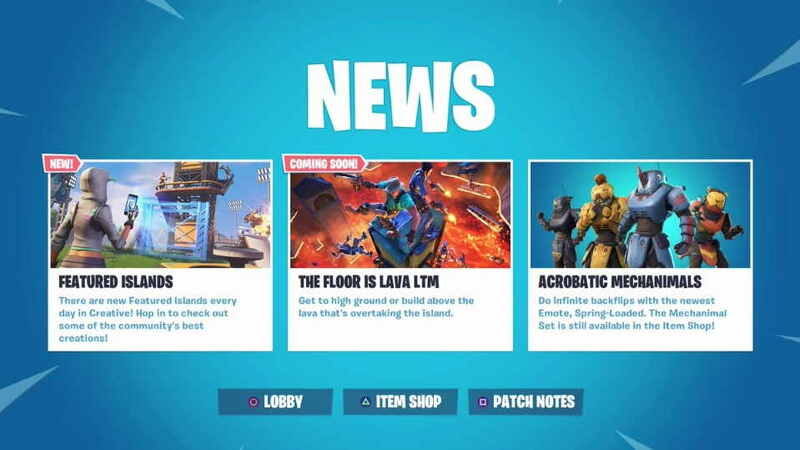 The latest Fortnite in-game news message reads, “The Floor Is Lava” LTM Get to high ground or build above the lava that’s overtaking the island.” The latest LTM called The Floor is Lava is expected to be added in this weeks Fortnite update. 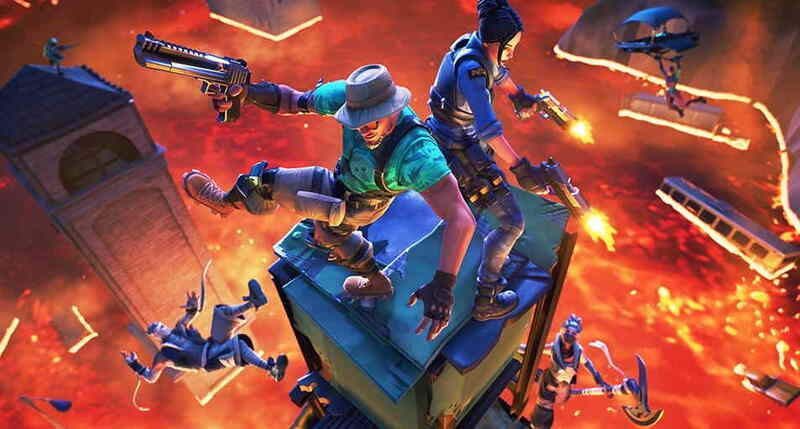 The Floor Is Lava mode will force players to either get to high ground on the map or build up to avoid getting burned. Since Fortnite Season 8, Epic Games have released three new items so far, including new Buried Treasure in the v8.01 update, The Baller Vehicle, Free Vending Machines with v8.10, and the Flint-Knock pistol in last weeks v8.11 update. Fortnite is also expected to receive a new Spectator Mode that was leaked recently in an In-Game Video Footage shared by a user on Reddit.